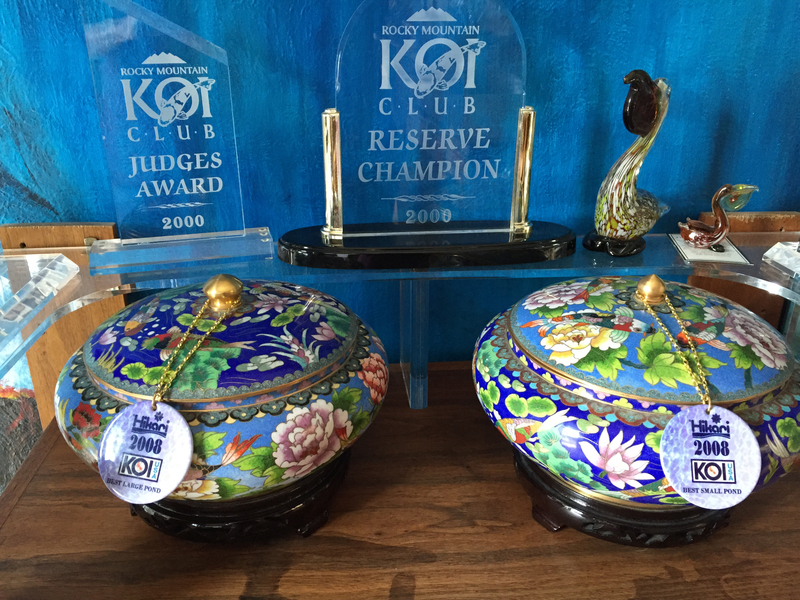 Sun Peaks is home to Ray Armstrong’s Award Winning Koi Ponds. 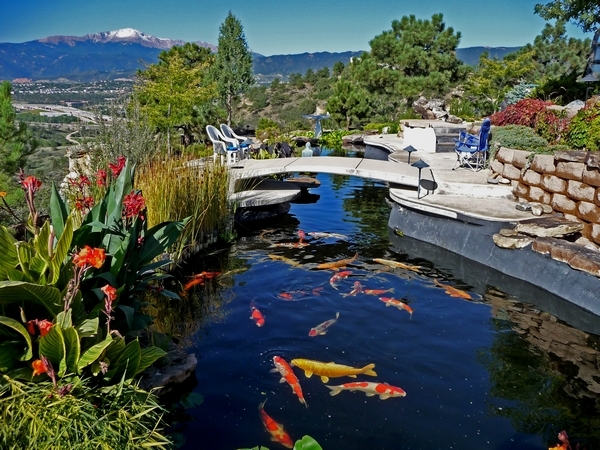 The vision for this environmental model of sustainability began with the Koi ponds. 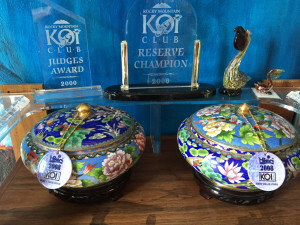 Not necessarily because they are unique, although they have been recognized internationally by Koi USA for their design and ability to sustain high quality, large beautiful Koi. 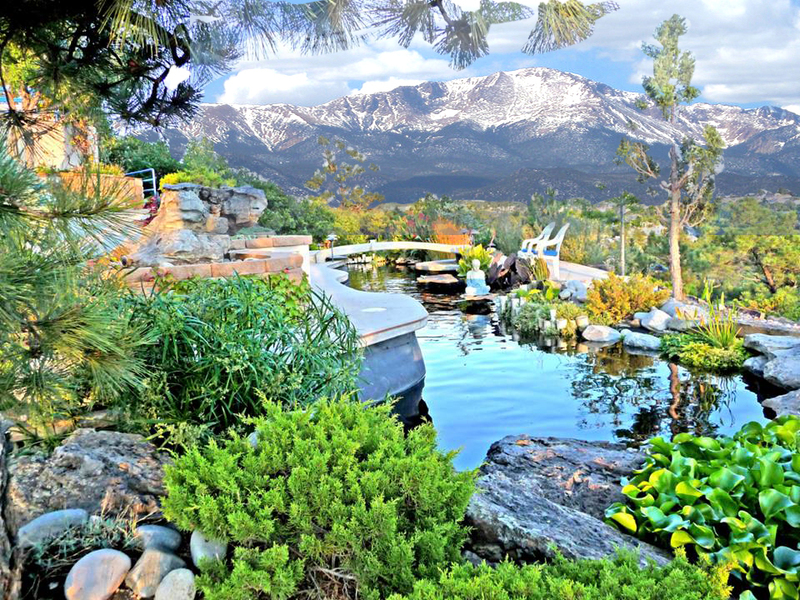 But, we start here because they integrate all five elements of sustainability: Koi, Water, Solar Energy, Gardens and Art/ Design. The ponds at Sun Peaks started almost by accident. When the front entry doors were created and installed, they needed a more humid environment, so Ray built the first 700 gal water feature in this area. 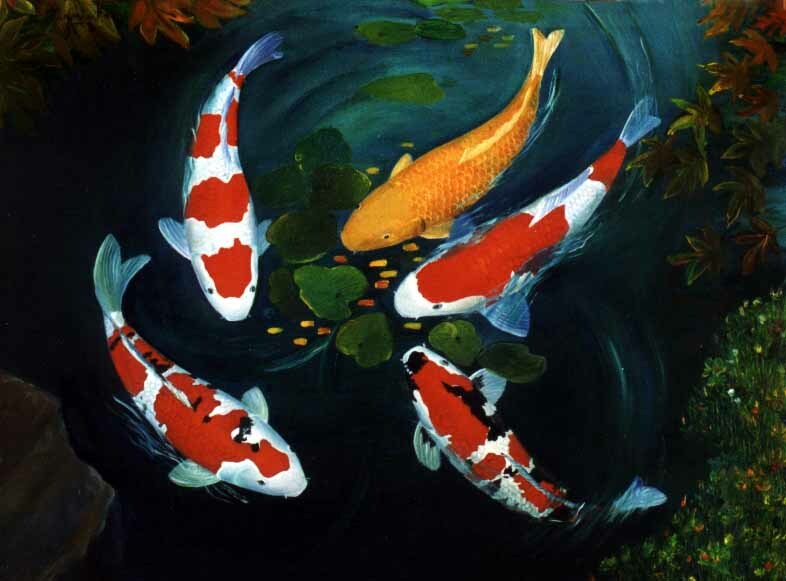 Then someone suggested that he add Koi for interest and color; so began a lifelong love affair with these beautiful, hypnotic fish. 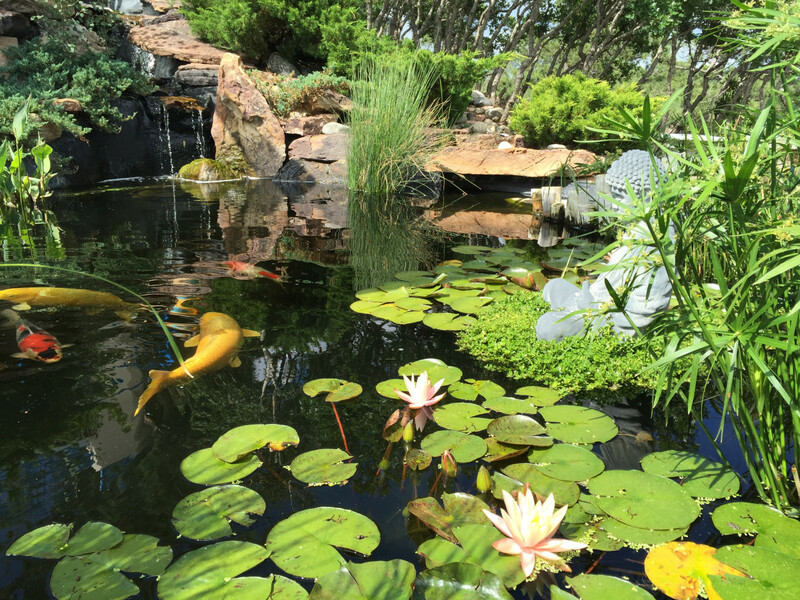 The learning curve was steep, but soon Ray learned how to design and maintain the two award-winning ponds. 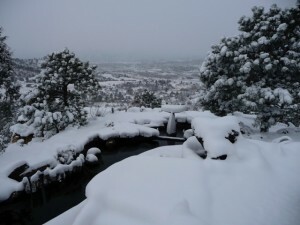 He expanded the first water feature into an outside pond, and added a stream. 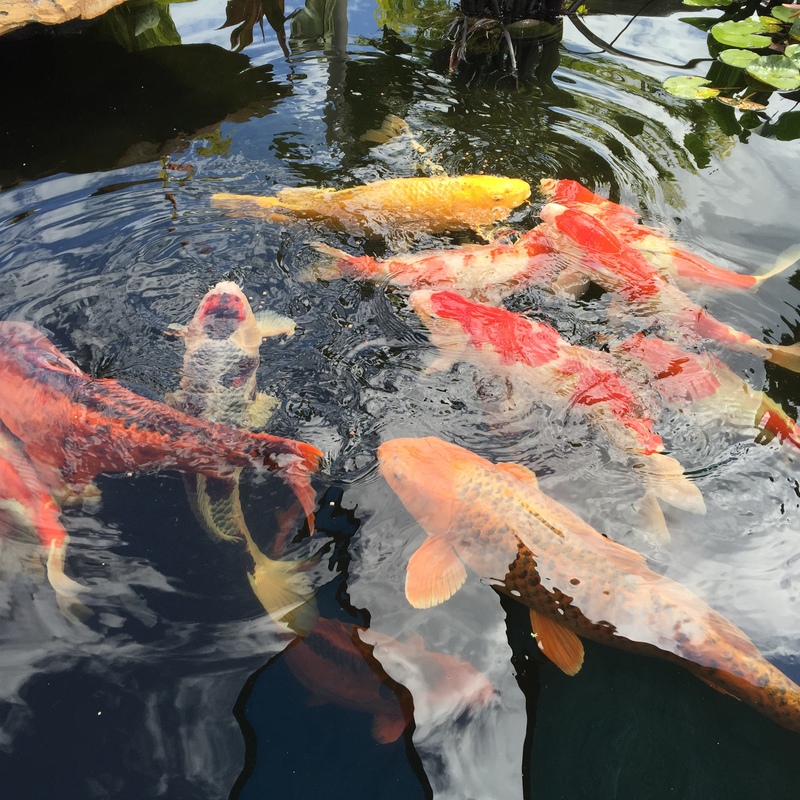 But the Koi kept growing in size! So next came the 5000 gal pond, retooled filters, and a very sophisticated water treatment system to keep the water circulating throughout all the ponds. Finally, in 2000, Ray designed and built his main 20,000 gal pond. 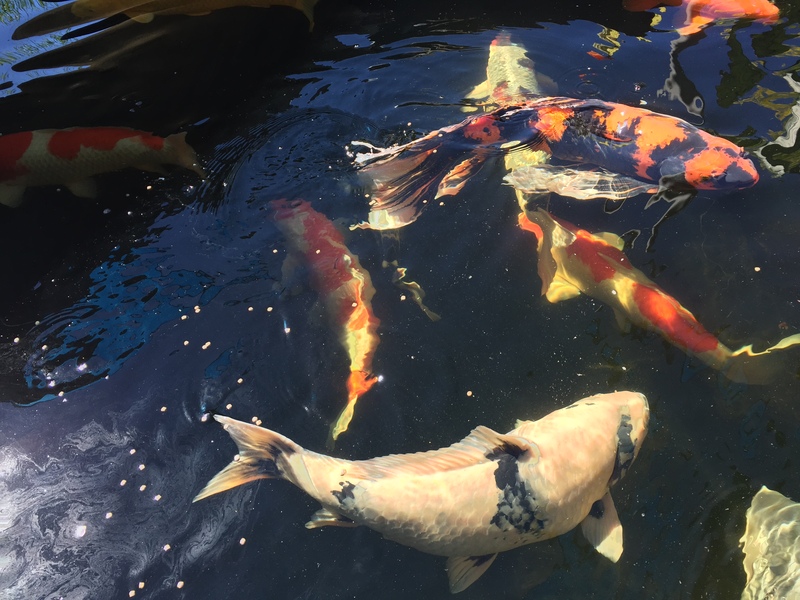 In Japan, Koi are considered to be “Living Jewels.” The average lifespan is 35-60 years, although some have lived beyond 100. Ray has had some fish for 22 years; he can pet and hand feed some of the older ones. Koi here are mostly imported from Japan and are very pampered. Although they can survive at low temperatures (35 degrees), they are brought inside for the winter so the fluctuation in temperature can be controlled.They are fed very little for 4 months while in the holding tanks at 50 degrees, and visitors can get up close and personal during this time. While in the summer the Koi are fed very heavily and since they are in an enclosed system, a very efficient filter must break down the ammonia they produce into relatively harmless nitrates. The waste water from cleaning these filters is heavy in these nitrates, and are then used to fertilize the gardens. To circulate the water in and out of these filters, to aerate, heat, treat with UV lights and distribute this water to the gardens takes a lot of energy. It is easy to see why the Koi ponds precipitated all the other sustainability systems: Water treatment, Solar energy, Sustainable Gardens, and Art and Design ( Form and Function).